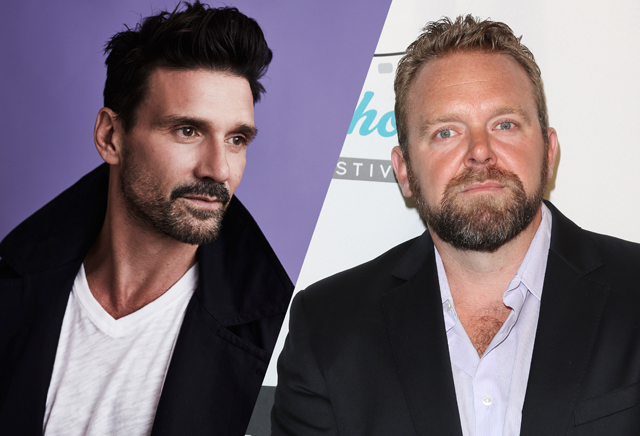 Raid Remake: Frank Grillo to Star & Joe Carnahan to Direct! The Raid Remake Gets Frank Grillo to Star & Joe Carnahan Directing! XYZ Films has posted a new video to Twitter in which actor Frank Grillo (Captain America: The Winter Soldier, The Grey, The Purge franchise) and director Joe Carnahan (The Grey, The A-Team, Smokin’ Aces) announce they are boarding The Raid remake! Based on 2011’s Indonesian action sensation directed by Gareth Evans, the original was released in America as The Raid: Redemption and stars martial artists Iko Uwais and Yayan Ruhian (who later appeared in The Raid 2 and Star Wars: The Force Awakens). Check out the announcement below! It’s not a remake. It’s a reimagining of the same scenario. You can’t remake The Raid, guys. It’s a fantastic film. So, ask yourselves why would we be doing it, unless we had something really special. The Raid tells the story of an elite DEA FAST team that becomes trapped in a tenement run by a notorious drug lord, his two highly-violent martial arts killers, and a personal militia armed with machetes and machine guns. Stranded on the 6th floor with no way out, the team must fight their way through the city’s worst to survive their mission. Back in 2014, it was announced that Patrick Hughes (The Expendables 3) would helm the remake with Battleship, John Carter and Lone Survivor star Taylor Kitsch in the leading role and Brad Ingelsby writing the script. As in 2014, the English-language remake of Gareth Evans’ The Raid will be made by XYZ Films, which produced the original film as well. Evans will produce the project alongside Carnahan. It is unknown who will pen the remake, although Carnahan will likely work on the screenplay. Carnahan is still lined up to helm Sony Pictures’ threequel Bad Boys for Life with Martin Lawrence and Will Smith. Grillo just completed a trio of films, including the action thriller Wheelman, Akiva Goldsman’s horror film Stephanie and the sci-fi flick Beyond Skyline.